On the occasion of the 70th anniversary of the Universal Declaration of Human Rights and the 30th anniversary of the establishment of the SASA Committee for National Minorities and Human Rights, a two-day international conference, Human Rights in the 21st Century, will open in the SASA Grand Hall on Friday, Nov. 9, at 10 a.m. The program of the conference has been drawn up by an international committee. The participants include eminent university professors and other experts from the USA, Russia, Japan, Great Britain, Germany, Turkey, Belgium, Italy, Holland, Hungary, Bulgaria, Croatia, Montenegro, and Serbia. The goal of the conference is to acquaint the Serbian public with contemporary international approaches to human rights. The work of the conference is divided into four sections and an introductory lecture, the latter being a video interview with Prof. Ben Ferencz, “Do Human Rights Still Have a Chance?”. Ben Ferencz was one of the prosecutors at the Nuremberg Trials (he is 98 now, but is still active). The first section is dedicated to general theoretical topics, including controversies surrounding the globalization of human rights, whereas the second section deals with minority rights (focusing on ethnic, religious and other minorities). 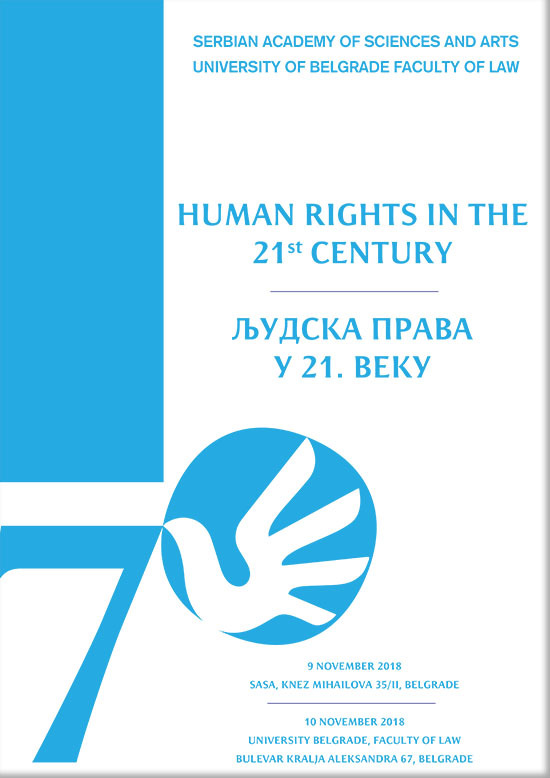 The third section is dedicated to human rights in corporations, with emphasis on the issues of international corporate responsibility for human rights infringements, possibilities for state control over corporate regulations related to human rights, drafting of a new UN convention on the Geneva Human Rights, and the practices of the European Court for Human Rights related to human rights in corporations. The fourth section deals with the issues of the “new wave of human rights,” such as environmental rights, the environment, bioethics and biodiversity.